Add Issue identifier. 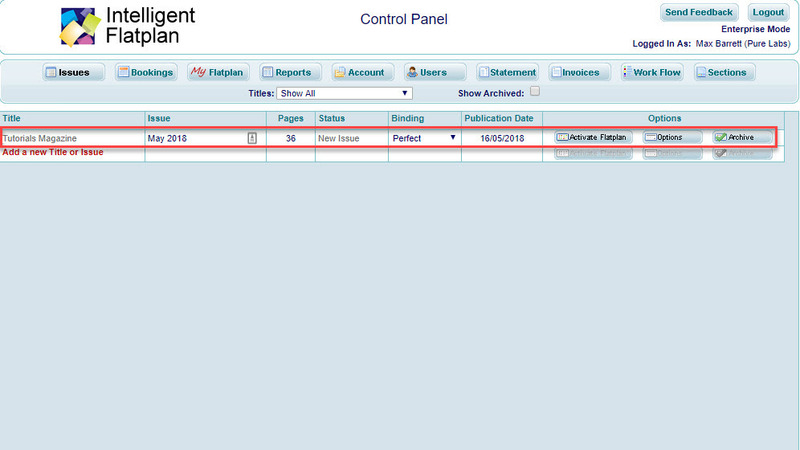 Typically, the Issue identifier would be a month, season, date or reference code. 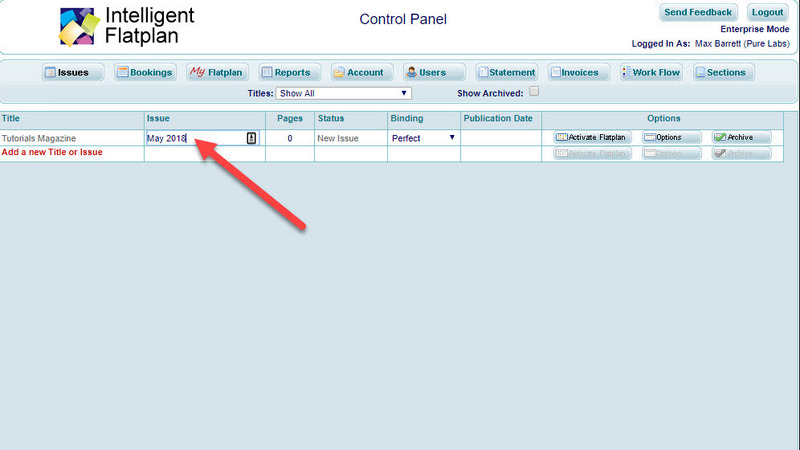 Enter total page count, including covers. Note: It is recommended to start with the smallest predicted page count and insert new blank pages if the Issue subsequently grows in size. This avoids wasting Page Credits on unwanted pages. Choose the binding style. Typically, Saddle Stitched (stapled) binding is used for smaller page counts (up to say 68-pages) while Perfect binding is used for higher page counts. Loose Leaf applies to individual printed products such a cooker cards. Binding style is governed by variables such as page count, paper weight, gutter width, double-page spreads and the printer’s binding equipment. 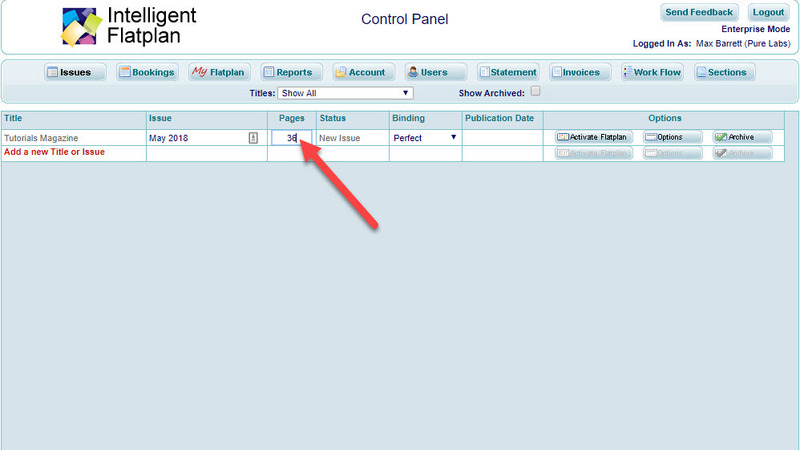 Option: Set a Publication Date. 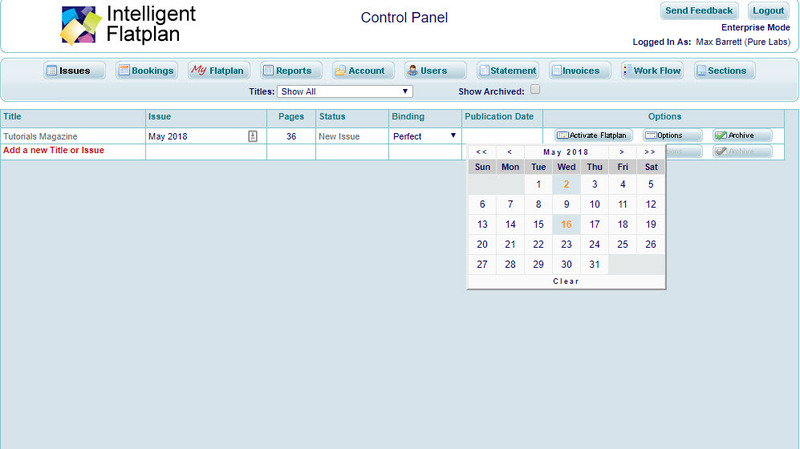 In the Control Panel this Date provides a quick date reference for all active and pending issues. 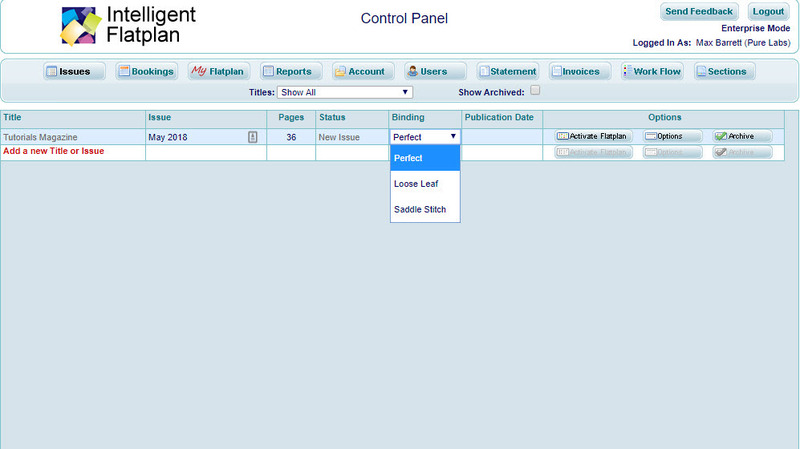 In the Planning Screen the Date triggers a ‘Days Remaining’ function which, together with the colour coded Workflow Status of each Editorial and Advert Object, provides a visual guide to whether the issue is on, ahead or behind schedule. The Issue is now ready for Activation.